← Can I register on the Day of Sean’s Run for ARROAutism? We had another fantastic year this year at Sean’s Run buoyed in a big way by a tremendous response from our corporate sponsors; assistance that underwrote the run and helped us to achieve our overall financial goals. So please join us in thanking New Seasons Market, Umpqua Bank, The Green Microgym, Mass Mutual, Mannatech, the Evergreen Center, and Team Reliv. Sean’s Run began in 2007 as a community event, and as a minor fundraiser, raising money for small projects. 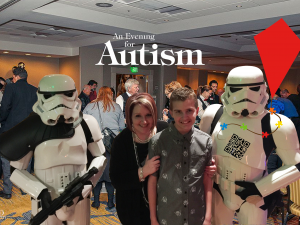 Today it stands as the signature fundraising event for ARROAutism, whose projects include the ARROAutism Community Center in Beaverton, an annual Holiday Family Assistance Project, Autism Research and more. Thanks to all the donors, volunteers, sponsors, and your participation in this year’s run, we were able to raise approximately $8000 to continue to provide these invaluable services to the community. Have a great year of running, and we look forward to seeing you again next year!